Honey made by the Gourmantché people in the eastern Tapoa region of Burkina Faso is the product Slow Food has chosen as the 5,000th passenger to board its Ark of Taste, the online catalog of forgotten and endangered foods that belong to the local culture, history and tradition of places all over the planet. The Ark of Taste groups them into various categories—animal breeds, fruits, vegetables, baked goods, cheeses and so on—and serves as a unique resource for anyone interested in rediscovering and promoting the immense heritage of food biodiversity that humans have accumulated over the centuries. 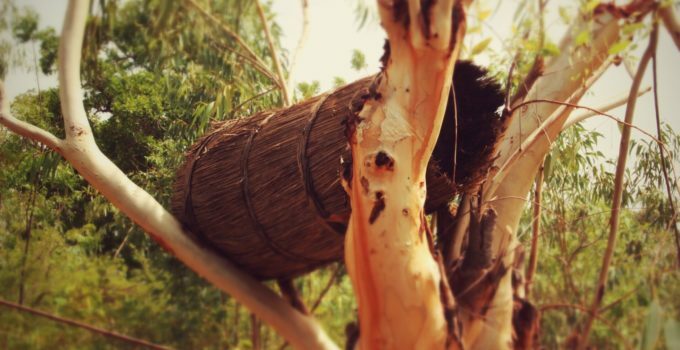 Slow Food has selected this honey, of particular importance to the identity of the indigenous Gourmantché people, as a sign of support for the country’s local communities. Terra Madre Burkina Faso was held here for the second time on February 2 and 3, organized by Slow Food in the capital of Ouagadougou. Despite serious challenges due to the threat of possible terrorist attacks, local activists decided to go ahead with the event to show that good, clean and fair food can be a force for peace. Slow Food delegates came from across Burkina Faso but also from Benin, Côte d’Ivoire, Mali, Togo and Ghana to participate in the gathering, which through exchanges of culture and experiences is making the Slow Food network in West Africa stronger than ever before. Choosing Tapoa honey as the 5,000th Ark product sends a strong message of solidarity with all the farmers and food producers who are defending their food traditions, and therefore food biodiversity, despite the growing difficulties they face due to the terrorism and political instability affecting a number of African countries. It is also significant that the product is made by bees, whose declining populations are one of the clearest indicators of the risks we face as human activity continues to throw natural equilibriums off-balance. Honey is of great importance within the Gourmantché tradition, used in the time-honoredcelebratio ns that mark the life of the community, in religious and animist rituals and in traditional medicine. In the kitchen, it is an ingredient in classic preparations like boulli, a kind of porridge made from a mix of grains; eau blanche, a typical non-alcoholic drink offered to guests on their arrival; and dolo-miel, a fermented beverage made from millet and baobab flour. In the arid savannah, the bees (Apis mellifera adansonii) can gather nectar from many different plants, producing an excellent multifloral honey as well as highly fragrant single varietals from trees like shea, tamarind and the rare Daniella oliveri. like the Slow Food Presidia. The Presidia get the producers actively involved, making them key players in a process of revival and promotion that to date has given a new future to 575 products around the world. Over its 22 years of life the Ark of Taste has welcomed passengers from 150 different countries: the Makah Ozette potato from the United States, Guatemala’s Ixcán cardamom, ræstur fiskur (fermented and dried fish) from the Faroe Islands and maqaw, a mountain spice gathered by the indigenous Atayal people of Taiwan, to name just four. Thanks to a collaboration with the students of the University of Gastronomic Sciences in Pollenzo and its network of members, Slow Food is producing a series of publication dedicated to the Ark of Taste in individual countries. This important task of research and dissemination of information in the local language has already been carried out in Brazil, Kenya, Mexico and Peru.